Summer cooling with great fun! 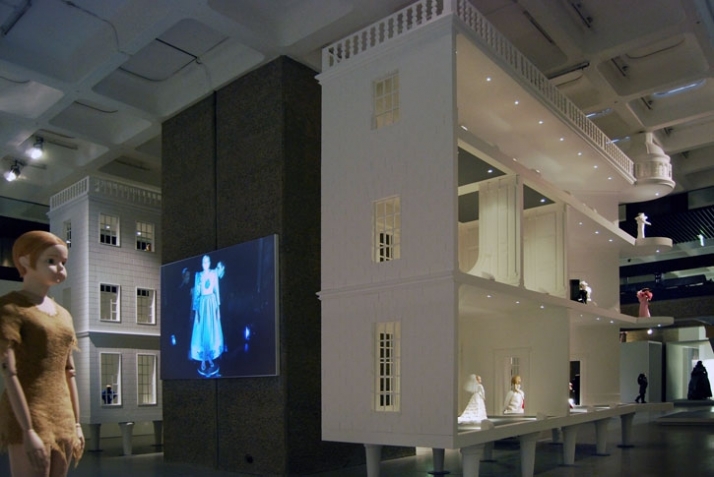 This summer Barbican Art Gallery will showcase the work of avant-garde Dutch fashion designers Viktor & Rolf. This will be the first time in the United Kingdom that an exhibition has been devoted to this highly influential duo. Over the past 15 years Viktor & Rolf have taken the fashion world by storm with their particular blend of cool irony and surreal beauty. 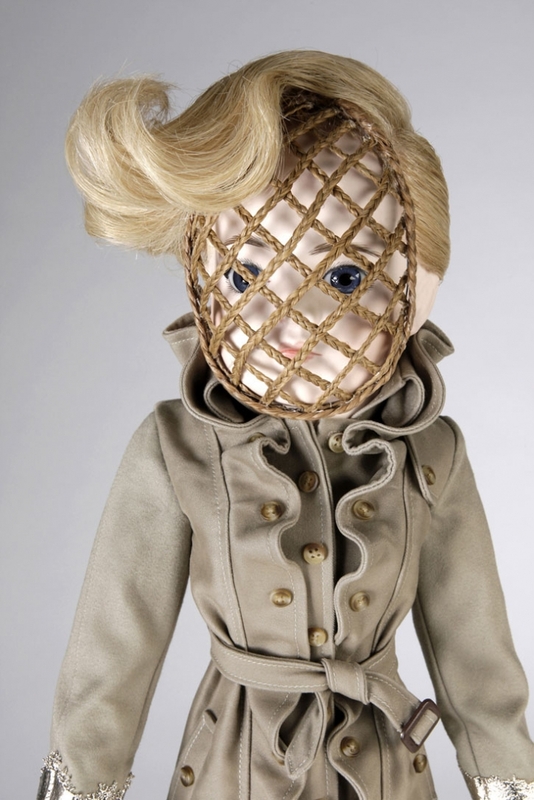 The exhibition will chart their career within the context of a specially commissioned installation by Viktor & Rolf. Dominating both floors of the Gallery, this spectacular installation will be kept under wraps until the opening day. The House of Viktor & Rolf will present all the signature pieces and key moments in their career from 1992 to now. 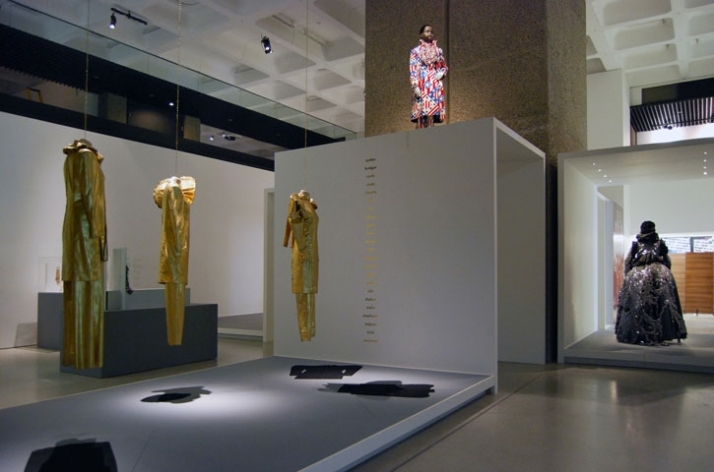 Highlights include Haute Couture pieces from Atomic Bomb, 1998–99, featuring dramatic mushroom cloud-like cushioned necklines and Russian Doll, 1999–2000, in which a single model was painstakingly dressed by the designers themselves in front of a catwalk audience in 10 independent layers, in an experience reminiscent of performance art. In the boudoir-themed show Bedtime Story, 2005–06, the dreamy atmosphere was created by garments abundant with broderie Anglaise, quilting and ruffles. The exhibition includes pieces from Launch, their ‘dreams in miniature’ collection of October 1996. At the start of their career, and not yet discovered, Viktor & Rolf created a miniature installation that represented all their ambitions: catwalk show with dolls; a fashion shoot; a shop with glass windows and even the launch of a fake perfume with an ad campaign and press release. Viktor Horsting & Rolf Snoeren have been working together since their graduation from the Academy of Arts, Arnhem, in 1992. Their first Haute Couture catwalk show, in January 1998, was followed by four more inspirational collections that secured their reputation. In March 2000 Viktor & Rolf presented their first ready-to-wear collection based on the American flag, an audacious announcement of their global aspirations. 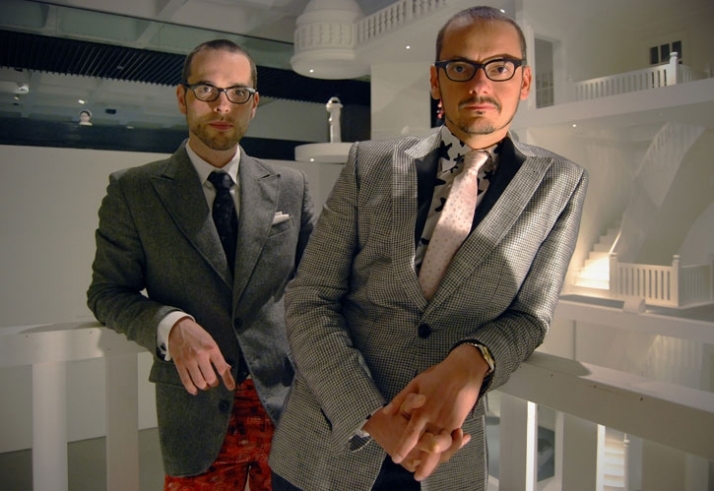 Viktor & Rolf became household names through the widely popular perfume, Flowerbomb, launched in October 2004 by L’Oréal and a sell-out collection for high street giant H & M in 2006. Viktor & Rolf’s acclaimed Milan boutique, opened in 2005, in which a neo-classical interior has been installed upside down, perfectly exemplifies their distinctive blend of conceptualism, elegance and humour. 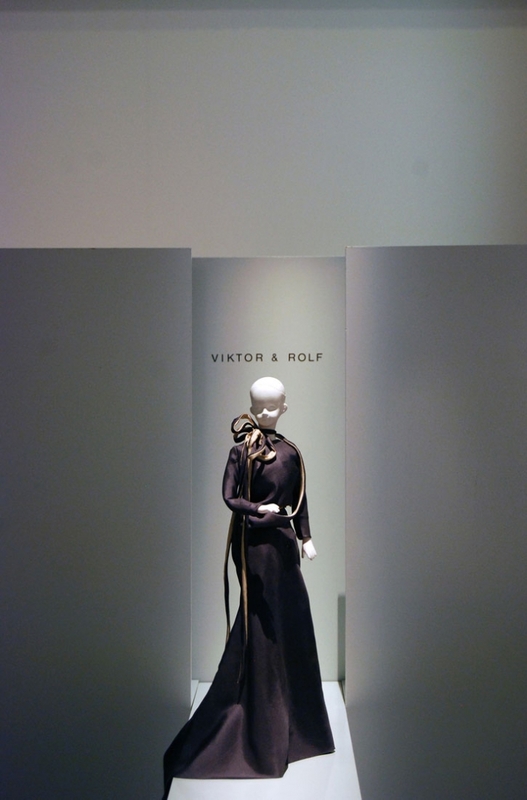 Viktor & Rolf’s work has been included in several exhibitions in international venues such as the Museum of Fine Arts, Boston; Museum of Contemporary Art, Los Angeles; Mori Art Museum, Tokyo; Yokohama Triennale; and Musée d’Art Moderne de la Ville de Paris. 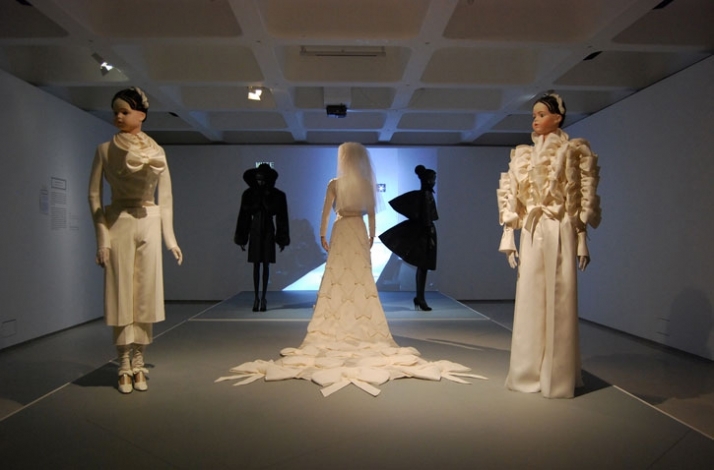 Solo exhibitions include Viktor & Rolf Haute Couture, Groninger Museum, The Netherlands, 2000 and Viktor & Rolf par Viktor & Rolf, Première Décennie, Musée de la Mode et du Textile, Paris, 2003. The duo have also received numerous prestigious fashion awards, including three first place prizes at the Salon Européen des Jeunes Stylistes, Hyères, France (1993); Fashion and Design Honorees by The Fashion Group International, New York (2002); International Designer of the Year by Dutch Elle Style Awards (2004); and International Designer of the Year by Scottish Fashion (2006). The exhibition is curated by Jane Alison, Senior Curator at Barbican Art Gallery. It is designed by Dutch architect and art historian Siebe Tettero. He designed the infamous upside-down Viktor & Rolf shop in Milan as well as shops in Dubai and Moscow. Graphic Design is by celebrated UK designers, Fuel. The exhibition will tour, venues tbc.